Because of the dynamic 21st century learning environment and unsatisfiable information need of modern learners, we need to constantly fight and filter outside distractions. This requires redesigned ways to provide the right information that is available at the moment of need. Learners have the time and attention to consume only small bites of information. And breaking things into smaller parts makes information easier to digest, remember, and apply at work. Here smartphones open a channel for bite-sized content that is quick and flexible enough to be included around busy schedules. Smartphones give rise to digital ecosystems that connect the dots of organization’s people, tools, and processes. Like ecosystems in the wild, learning and development ecosystems need nurturing, interaction, and a supporting environment. Mobile technology creates opportunities for personalized content and learning paths. And also enables learning regardless of physical location. With this and learning management systems, trainers can measure the effectiveness of learning programs. This is essential to align training with both business and learning objectives. Learners who are engaged simply learn more. Leaders today must rethink how they enable social and collaborative learning. Gamification captures the motivational power of games to solve real-world problems. It motivates learners and engages them with points, leaderboards and healthy competition. When mobile first countries use collaborative and gamified technology, they gain unparalleled access to social and engaging learning. This talk will be highly interactive. Topics: Changed Learning Environment (Mobile Phones, Distractions, Dropping Attention Spans, Fragmented information), Adaptive teaching methodologies for the generation smartphone, the ideal learner, mobilizing flipped classrooms and inquiry-based learning, virtual communities of learners in purposeful interaction and gamified competition, mobilized knowledge flows within organizations and institutions, Learning and workforce 4.0, transformation of existing e-learning platforms into a collaborative, adaptive and bite-sized learning ecosystems. The meeting is $200 for non-members and free for HKKMS & KMIRC members. Please reserve your place by registering below. Further details of the speaker can be found below. He is also Doctoral student and lecturer in the fields of international business, knowledge management, innovation and entrepreneurship at Bangkok University and Stamford International University in graduate and undergraduate programs. Maik holds a degree as Master of Business Administration (MBA) of the University of Liverpool and several degrees in insurance industry (FCII, FDVA) where he used to work for more than 20 Years in leading management positions, e.g. as a board member or a German-Chinese life insurance joint venture. Since 2016 he advises the president of TRIS Corporation (www.tris.co.th) in the fields of innovation, new technology, e-learning and digital transition and speaks on various occasions mainly about innovation in education, training, knowledge management and mobile learning. This talk focuses on increasing digitalisation which lead to the emergence of the networked economy. Though knowledge remains the only infinitely renewable resource in organisation, the traditional value disciplines pursued by organisations and societies have been constantly challenged. In the networked economy, value is typically created by exchange of data and information leveraging off the network effect. The speaker will place particular emphasis on how digitialisation will impact knowledge management together with the associated challenges and oppoo.ortunities. Data, cloud and people hold the key to success. KM tools and technologies that will play significant roles will also be outlined, together with industries and organisations that can accomplish quantum improvements after successful digital transformations. Please download a copy of Prof. Tsui’s presentation from here. 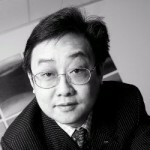 Eric Tsui had spent 16 years in industry with Computer Sciences Corporation (CSC) in Australia taking on various capacities including Chief Research Officer and Innovation Manager. During this period, he has made significant contributions to the company’s expert systems products, applied research and innovation programmes. Professor Tsui is also an honorary advisor of KM to three Hong Kong government departments. In the past decade, he has supervised or involved in more than 200 KM projects in Hong Kong, Asia and Australia. In 2014 and 2018, he twice received the Global Knowledge Management Leadership Award. With a strong passion in Teaching and Learning, he has also received many awards in his career. He is a KM/CoP honorary advisor to three departments in the HKSARG. Since August 2015, he has designed and launched two MOOCs (Massive Open Online Course) -“Knowledge Management and Big Data in Business” and “Industry 4.0: How to revolutionalise your business?” on the MIT edX platform. Together, they have attracted more than 77,000 enrolments and one of them is rated as Top 7 Business MOOCs worldwide (Source: Canadian Business, April, 2018). Since 1990s, there is an obvious shift from an information-based economy to a knowledge-based economy (KBE), which emphasizes on the production, distribution and application of knowledge and information. The tourism and hospitality industry is one of the first KBE sectors to apply large-scale utilization of ICT for the improvement of its service products. However, the nature of tourism and hospitality industry is heavily labor-dependant and span-organizational, which requires continuous knowledge management efforts within and outside of the organization. Hopefully the talk will contribute to a better understanding of what knowledge is in need, who can supply the required knowledge and how that knowledge can be managed for the tourism and hospitality industry. Dr. Fu Jing currently works as a program manager of the MicroMasters Program of International Hospitality Management in School of Hotel and Tourism Management, The Hong Kong Polytechnic University. She received her PhD in Knowledge Management from Chiang Mai University, Thailand in 2012 and is an Associate Professor of Knowledge Management in Mainland China. During 2012-2014, Dr. Fu was invited to the University of Lyon 2, France for a Sustainable e-Tourism Project and conducted her post-doc research in International Tourism in Greece under two EU-funded Erasmus Mundus Frameworks.